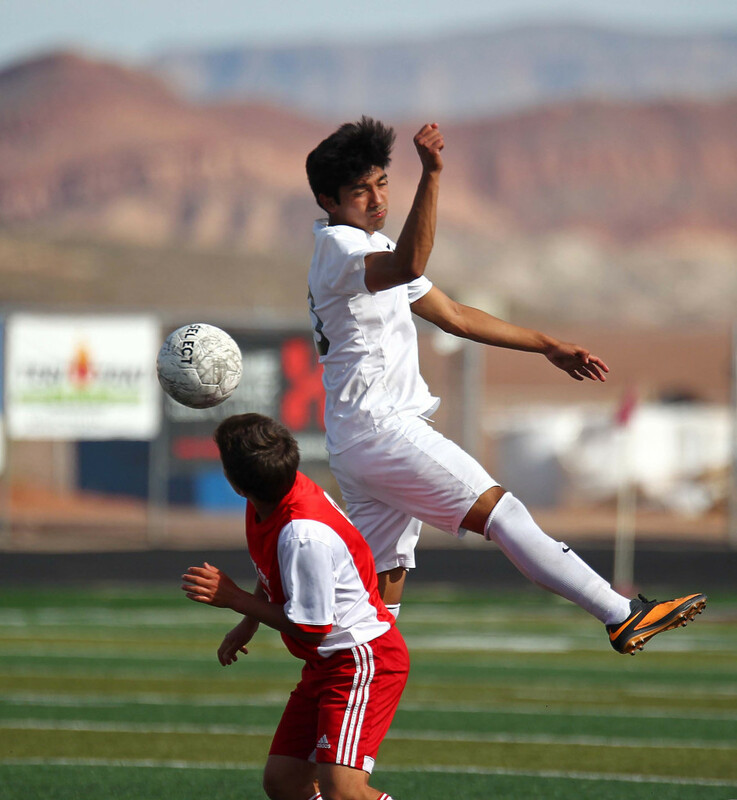 ST. GEORGE — Pine View senior Ethan Baer can attest that getting his name in a news story isn’t usually a good thing. 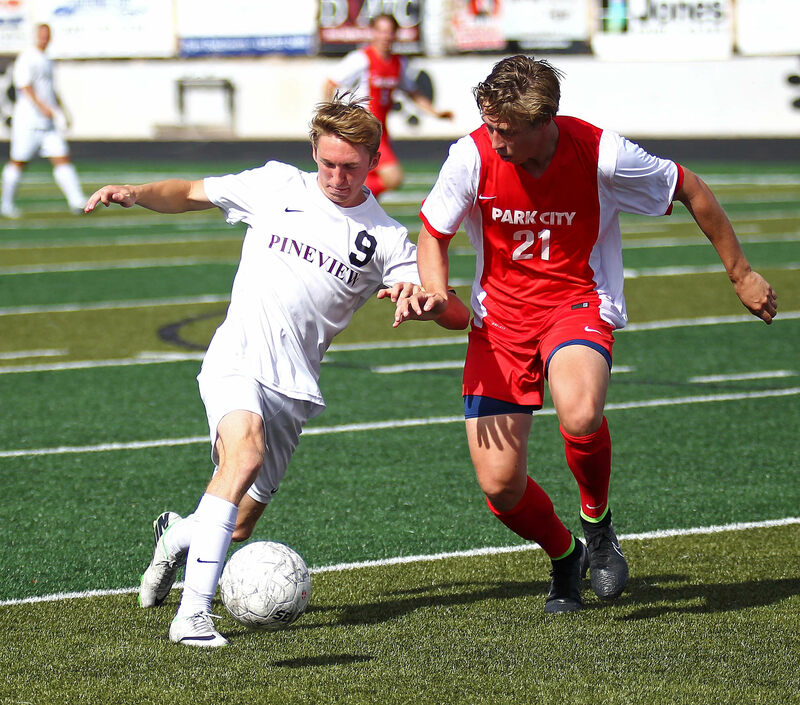 But Baer, a defenseman for the Panthers, had the tying goal and a spectacular bicycle-kick save at his own goal to help Pine View beat Park City 4-2 Thursday afternoon and earn a trip into the 3A State Quarterfinals. Baer’s penalty kick in the first half, after a foul on Federico Resendis in the goal box, tied the game up at 2-2 16 minutes before halftime. 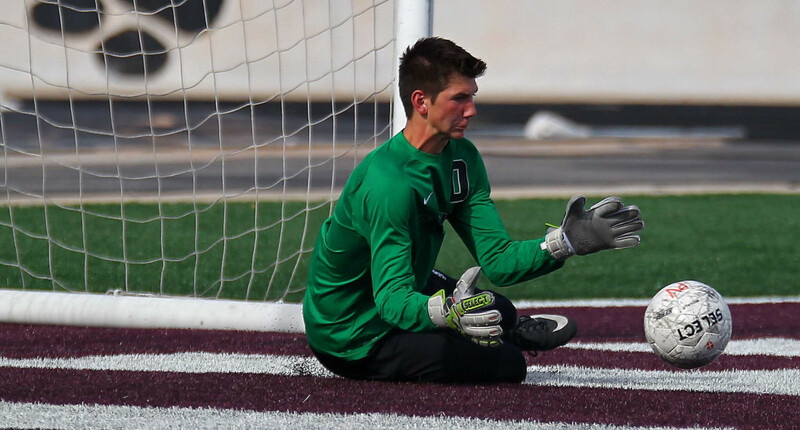 His amazing save in the second half, after a hard header had cleared Pine View keeper Riley Taylor, preserved the post-halftime shutout and helped propel Pine View to the win. Panthers coach Sam Johnston, who busted out a big, toothy grin when asked about Baer’s dynamic save, said guys in the back don’t get a lot of credit. Michael Wade had both goals in the second half, blasting the go-ahead score from 18 yards out on a pirouette that shed the defender, leaving him with just the keeper to beat. He zipped it by in the upper right side to make it 3-2 with 31:36 left in the game. 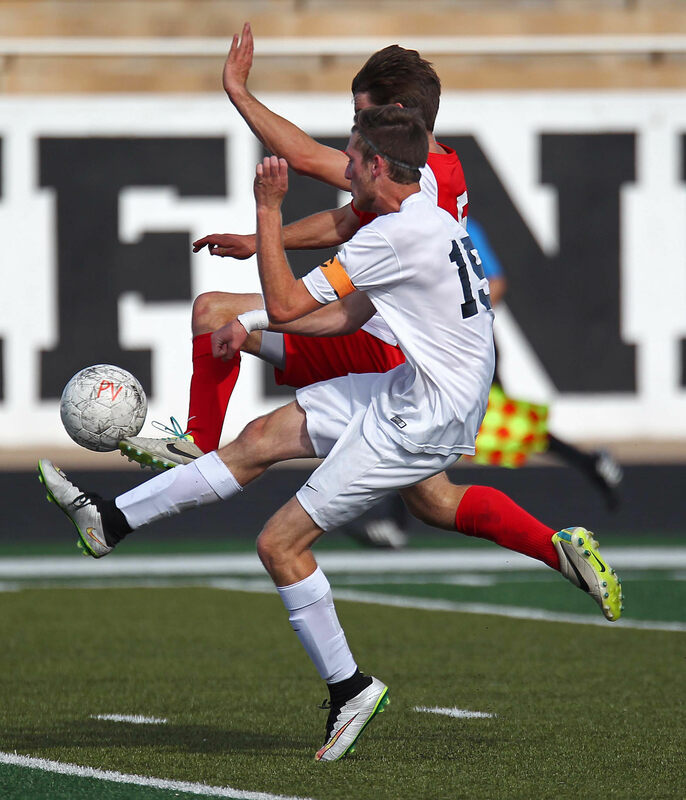 His second goal, the icing on the cake for the Panthers, came off a cross by Calob Dudley that Wade headed down and into the left side of the goal. 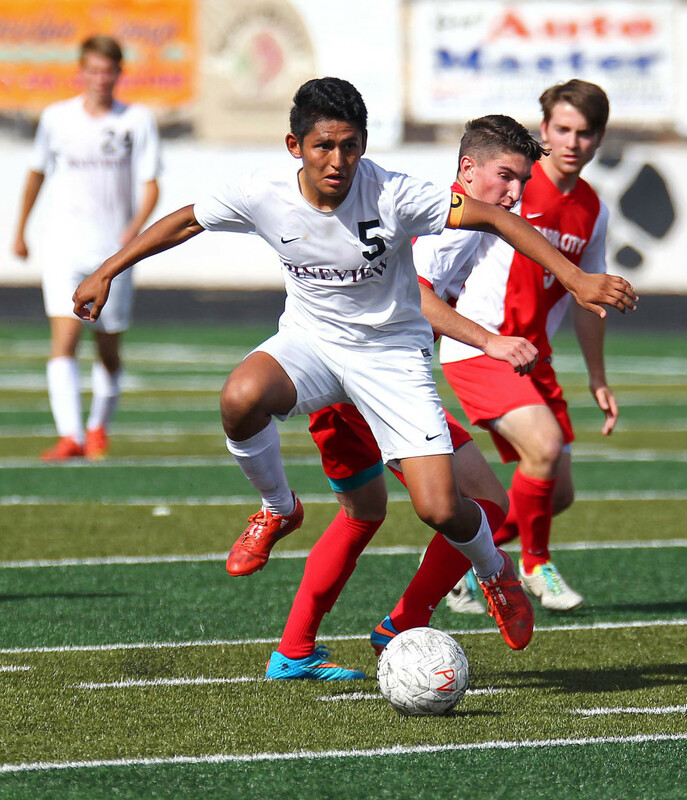 The visiting Miners, who are used to success in boys soccer (having won five state titles since 2000), were not intimidated by the road trip, the warm weather or the Panthers. 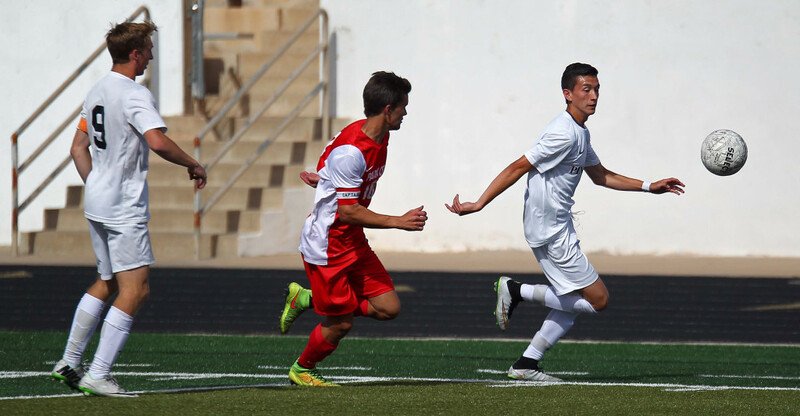 Gunnar Gunderson pounded home the game’s first goal just 6:13 into the contest to put Park City ahead 1-0. 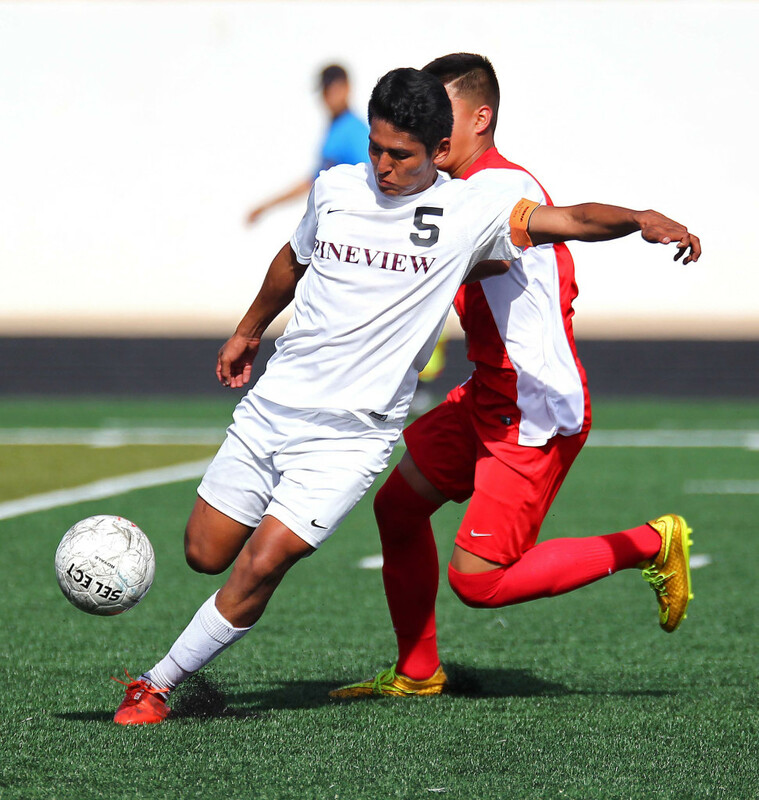 Pine View got the equalizer four minutes later as Sergio Diaz scored off an assist by Wade. The Miners again surged ahead with a goal by Greg Shagen at the 20:55 mark of the first half and, even though the Panthers were dominating the ball for the most part, PC held a 2-1 lead. PV earned a corner after a hard drive up the pitch. Off the high corner kick, Resendis attempted a header, but was shoved to the ground. 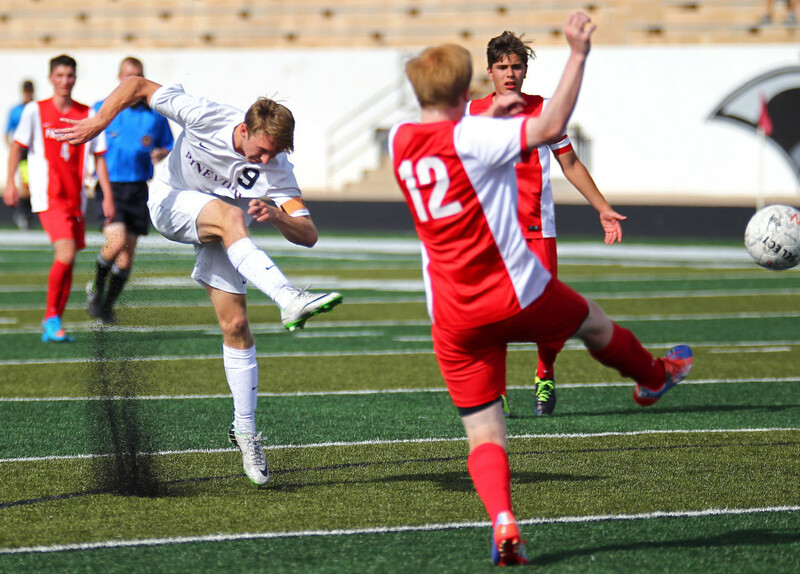 The foul resulted in a Baer’s PK, which he blasted to the upper right of the goal. 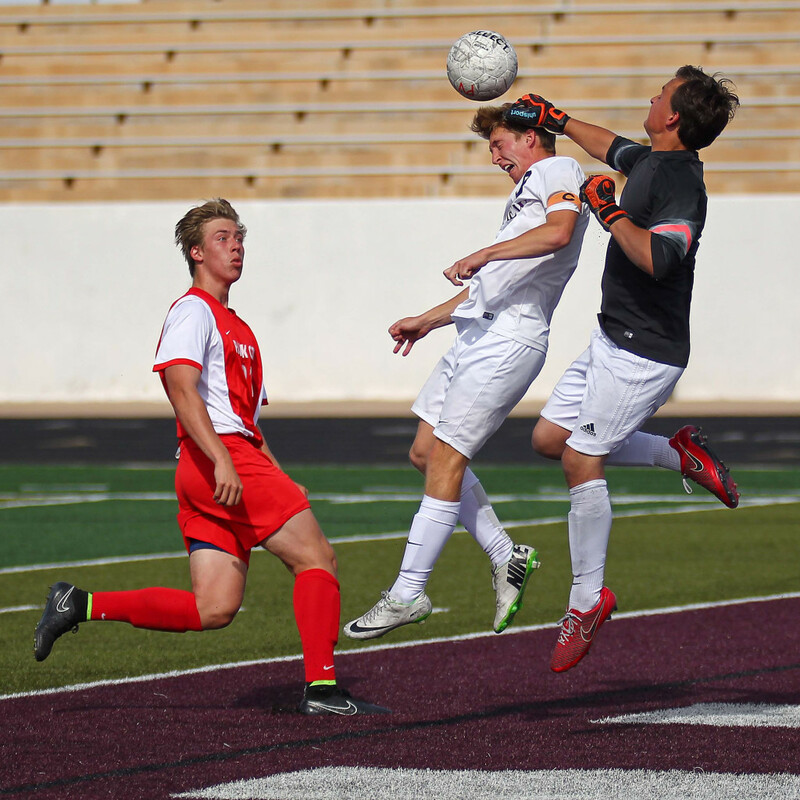 Miners keeper Charlie Urban got a piece of it, but the blast was strong enough to ripple the net anyway. 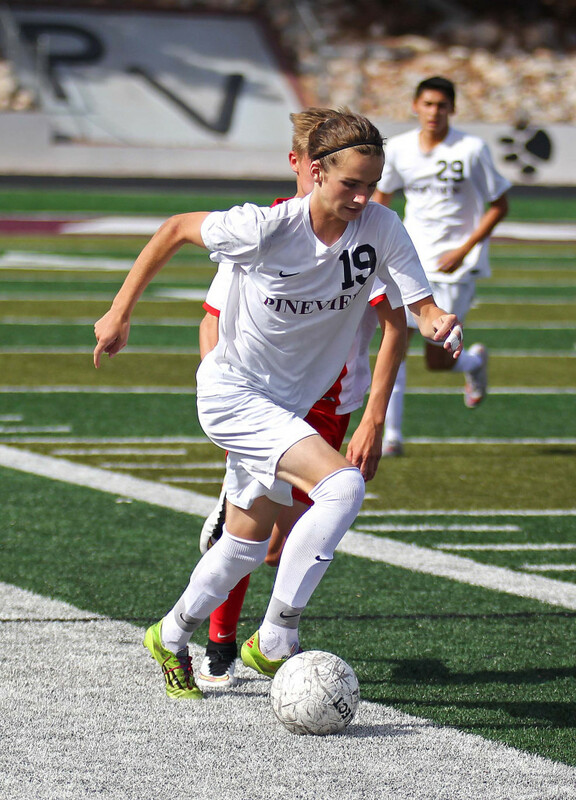 Pine View freshman goalie Riley Taylor had a couple of nice saves in the second half and the Panthers dominated possession after intermission, leading to the two-goal victory. The Panthers, 10-7-1 on the season, are trying to shake off an April in which they went just 4-4. They will travel to region 11 champion Stansbury Saturday ofr a quarterfinal game against the Stallions. 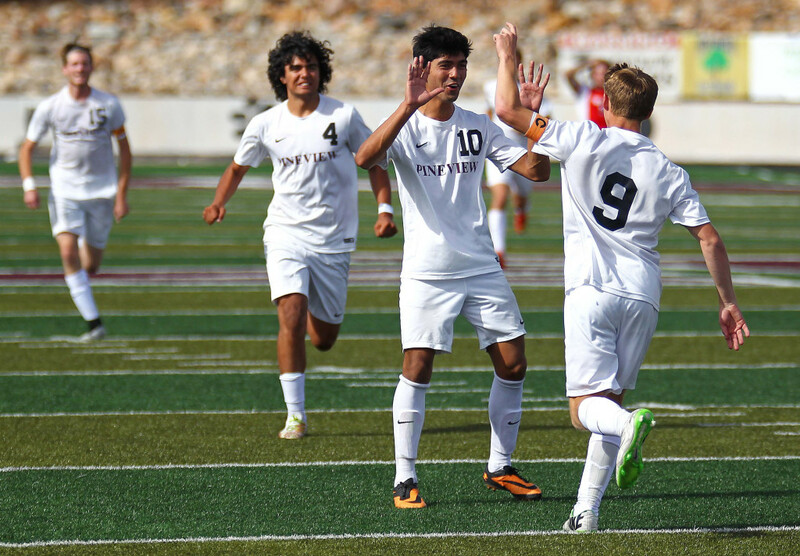 Stansbury, 8-3-1, beat Richfield 8-0 Thursday to advance. 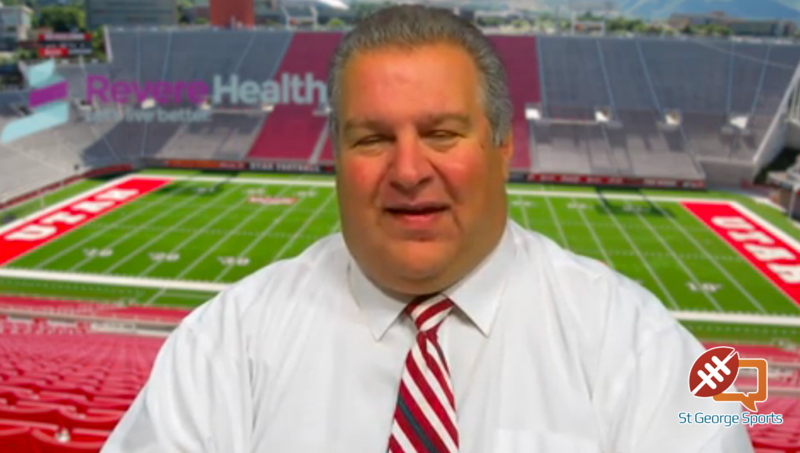 Park City ends the season with a record of 5-9-1.